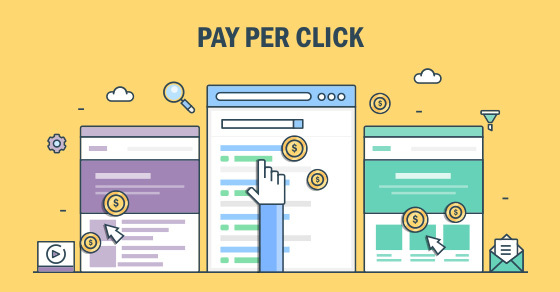 With competition for natural rankings on the rise and the increasing frequency of (not provided) search term data in SEO campaigns, many companies are embracing Pay-Per-Click advertising systems such as Google Ads. While it can be easy to get started, developing an effective campaign means making the best possible use of your limited number of characters. So, what are the most important elements of a PPC ad and how do we make the best use of them? Headlines as the first thing searchers are likely to look at are obviously an important factor: they stand out because they are underlined and if the keyword is present it will be bolded. Including specific high-power phrases in your title can help to make your ad stand out from those above or below you: things like “low prices” or “best deal” will make your ad appear naturally superior to competitors and garner you a higher click-through rate. We are programmed to respond in specific ways to certain words and punctuation marks so use of the word “free” as well as using exclamation points where relevant tend to have a great impact. With a limited number of characters to win your potential customers over in, it is important to put a lot of thought and consideration into how you want to phrase your offer or describe your product. In many industries it is more effective to describe the benefits your products or services can provide to your customers rather than simply listing their features. Provide practical ways in which you can solve their problem or improve their life and they will see the value more readily. Differentiate your ad or offer by emphasizing what makes you different from the competition. In traditional marketing you won’t always have your competitors’ ads listed right next to yours but on the Internet they will be there, right above or below your own. It is essential to make your offer stand out from the pack by outlining what about your business can serve their needs more effectively. Have a track record of amazing customer service or a larger area for free shipping? Tell them so! Another great way to stand out and gain the trust of your potential customers is to address and acknowledge the problems that your product can solve. Empathize with them and legitimize their desire to improve the situation and then present your product as the best way to do so. Your empathy and understanding of their question or problem will increase your authority as well as their opinion of you and this can lead not only to increased conversion but also to great brand loyalty. One of the aspects of your PPC ad that can often be overlooked is the inclusion of relevant category links. For example, if you were to search for “kindle” the Amazon result will include links to various related categories or pages such as the FAQ, popular books, and current offers for various models. Be sure to leverage these links effectively. If you qualify to include reviews in your PPC ads, be sure to do so. The addition of those little stars will help make your ad stand out from competitors’ and will increase buyer confidence. Positive reviews can often have the effect of making people ignore cheaper prices from companies that appear less reputable so take advantage of your good customer service in the past and display your fantastic rating with pride. Finally, it is always a good idea to include a call-to-action in your ads: Don’t leave them wondering what to do next, tell them to “click here for your free trial” or “contact our experts today” and searchers will respond. Here’s a question you should be asking yourself about your PPC: Are the correct negatives being added to your account based on empirical analysis, and are precautions being made to make sure these negatives do not conflict with active keywords? As in, are you blocking the bad traffic with negative keywords based on real data? If not, consider what that’s probably costing you in wasted ad spend. Just note that you don’t want to throw in just any variation of keywords into the negative space because you don’t want to create conflicts with the good working keywords. I had Simon help me out with this before. I’m sure he’d be willing to talk to you too if you just give him a ring at 219-733-4687 and tell him you need some help with your PPC campaigns.